I am collecting antique samplers for our home and become amazed at the ages of children who have completed samplers years ago. The stitching is tiny and some of the work astounds me. I am sure that not a lot of 6 year old could do this sort of work now. I am always looking at antique samplers for inspiration and quite frankly just to please me. I hope that when I design samplers now that these will be admired as a samplers with a twist. 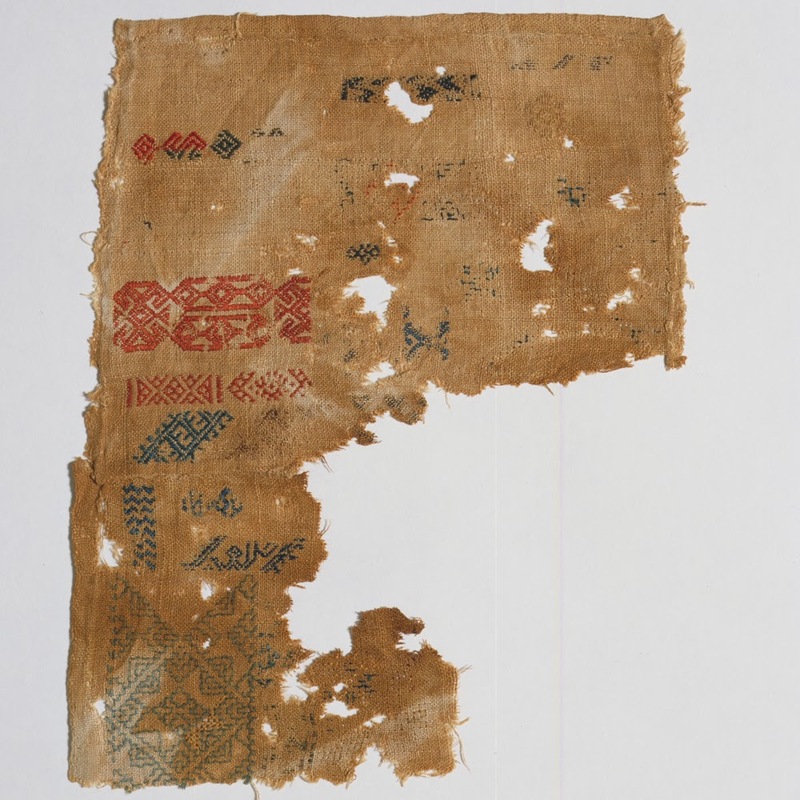 The Victoria and Albert museum has a exhibitions of samplers ranging from the 16thC to 19thC. They are well worth taking a look at. Also there a fascinating facts like the first known printed pattern book was published by Johann Schonsperger in Augsburg Germany in about 1523, this was followed by others in Germany, Italy, France and England. The increasing availability of pattern books brought new sources of reference to apply to ladies work. I am doing one for print and one as a commission at the moment, They make beautiful nursery pictures too, depending on what you stitch on them. I am going to do one for our home as well. 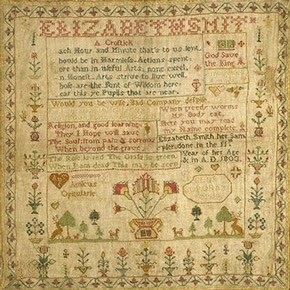 I am absolutely enchanted by samplers. I hope to be able so show you some of my designs very soon. Take a look if you can in the Victoria and Albert it really is a wonderful place to visit. To improve the mind that never dies. running stitch pattern. Stitcher unknown. Egypt 15th - 16th Century.